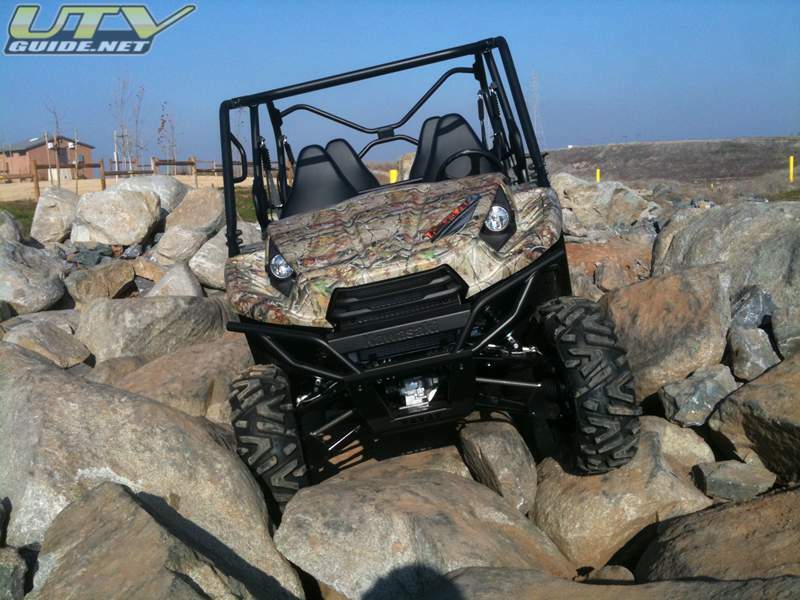 The Kawasaki Teryx4 is an all-new UTV for 2012 and we are thrilled to have one in our stable. 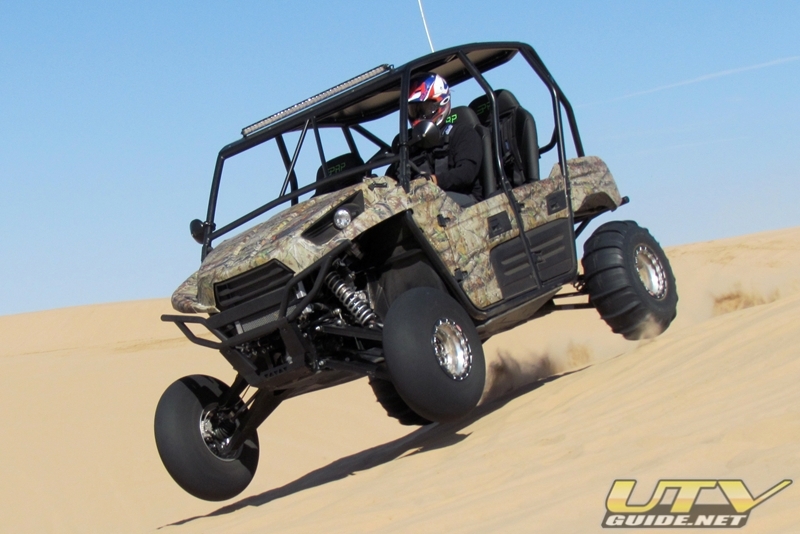 The Teryx4 isn’t just a stretched Teryx with two more seats. Quite a bit of engineering went into the design to make this a unique four-seater. 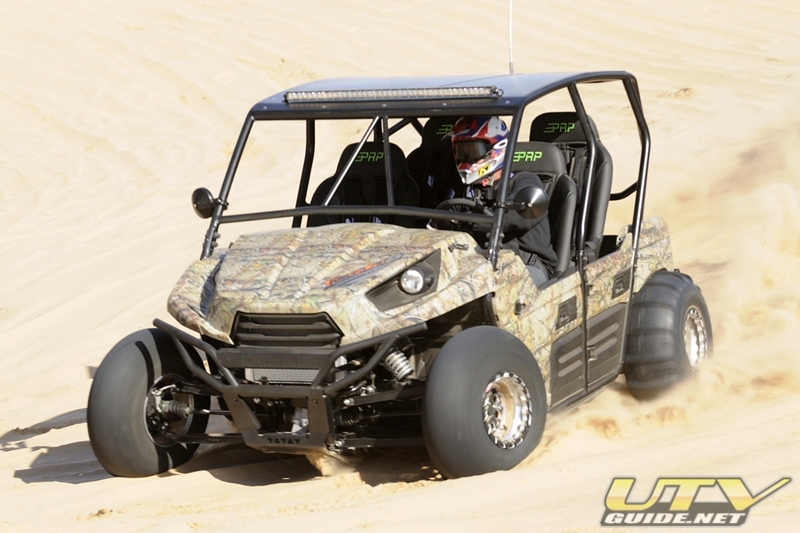 I first had a chance to see the new Teryx4 at theKawasaki Dealer Show in Florida and it piqued my interest. 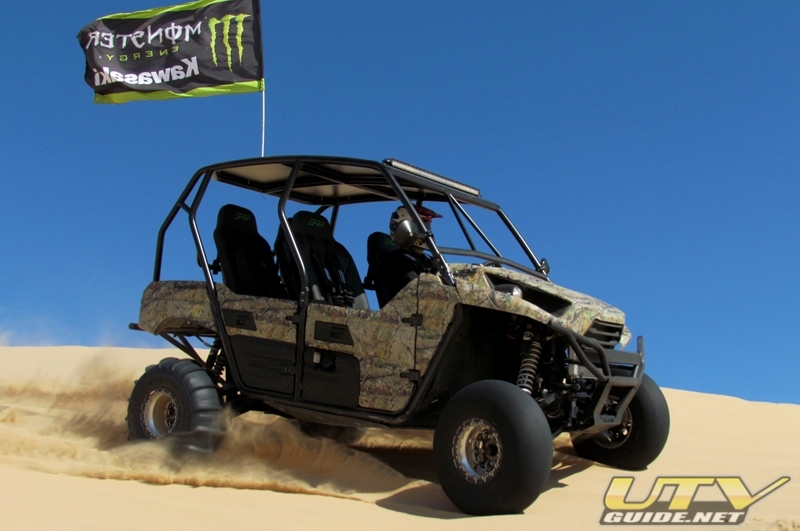 Then I got to ride the Teryx4 at Brimstone during theKawasaki Teryx4 press introduction, and knew Kawasaki had tapped into a unique segment for a bigger four-seat UTV. The amazing thing about the Teryx4 is how roomy the cab is for four adults at the same time as being very nimble. At 6′ 1″, I can sit in the back row without feeling like I am stuffed into the back seat with my knees in my chest. 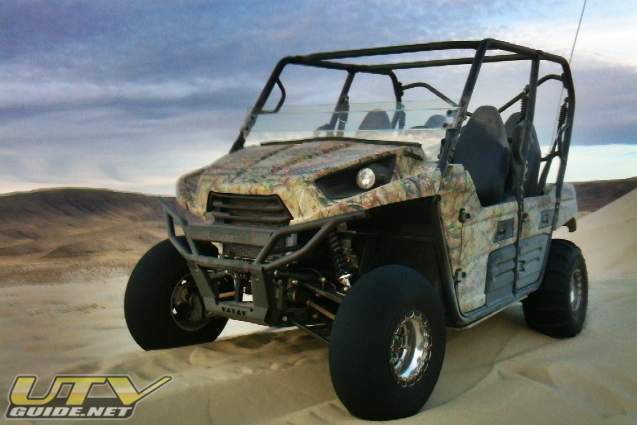 And Kawasaki figured out how to add the seats, while giving the Teryx4 a 86.1 inch wheelbase. Now numbers don’t mean a whole lot until you put this into perspective. 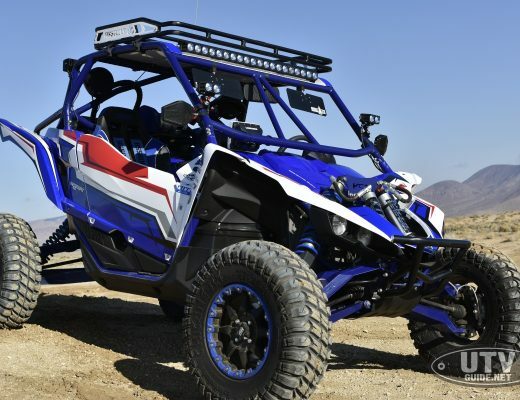 For example, the four-seatPolaris RZR XP 4 has a 107.4 inch wheelbase and the two-seatArctic Cat Wildcat has a 90 inch wheelbase. Let those numbers sink in a bit and you will realize how the shorter wheelbase creates a vehicle that does not feel like you are driving a bus. With the extra row of seats, also comes more room. 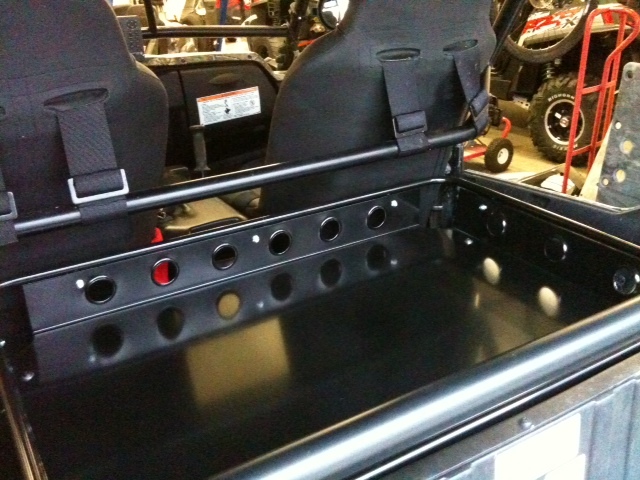 We have a rear-seat rack that can replace the two rear seats to create more space for gear when we only need space for two. 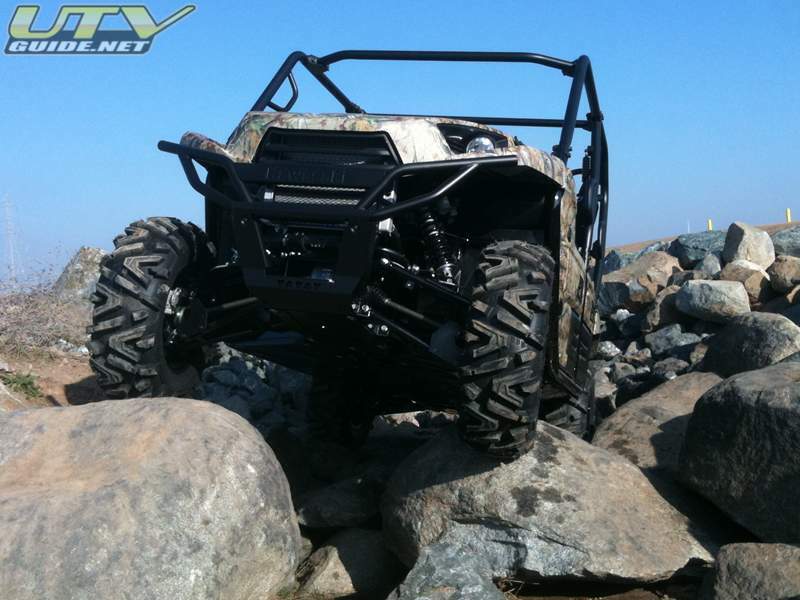 A few other features really make the Teryx4 shine. The first is the all-new centrifugal clutch. 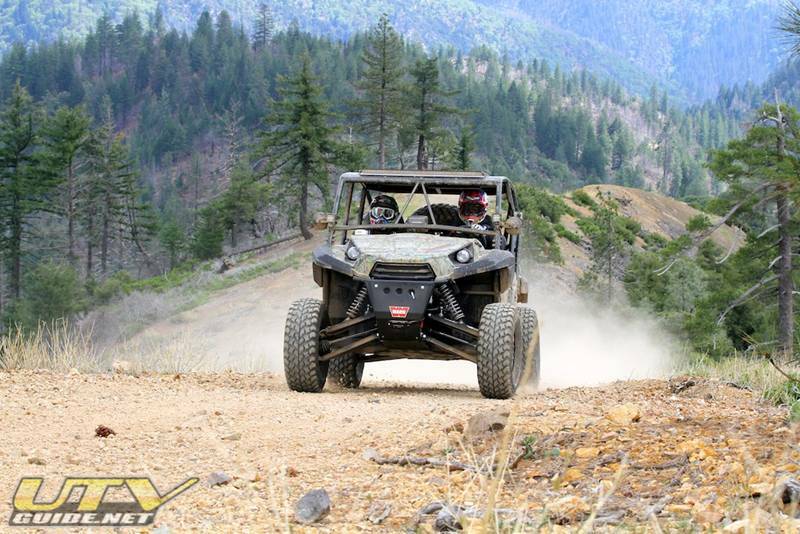 The new CVT offers an extra degree of precision for slow-speed power manipulation and smoothness which is really noticeable for rock-crawling. It is hands-down the best clutch we have used in the rocks. Factory electronic power steering is also a huge benefit. 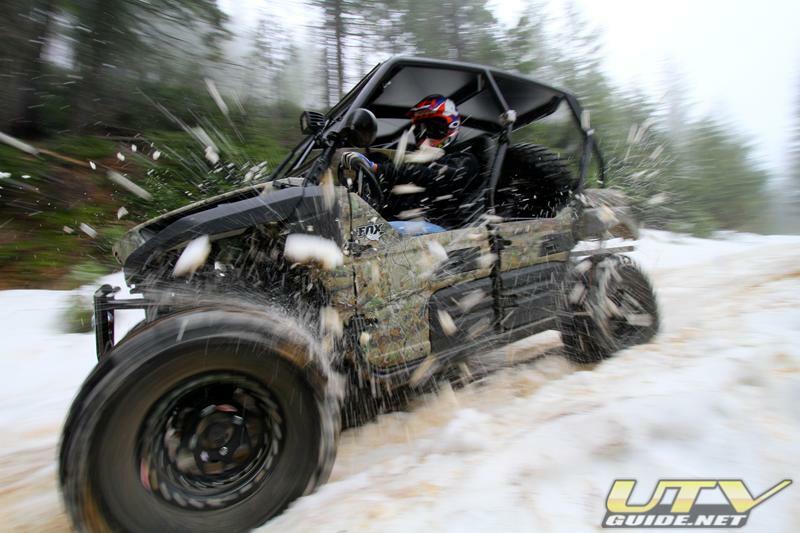 I am a huge fan of EPS for UTVs and the factory EPS on the Teryx4 works great, even with big 31″ light truck tires! 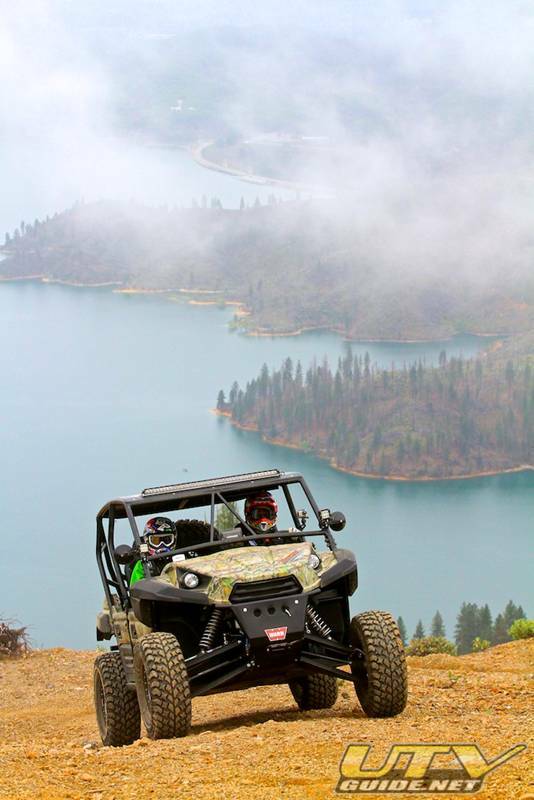 The Teryx4s 749cc V-twin four-stroke engine is also new, offering 15 percent more power than the already stout unit in the 2-seat Teryx. 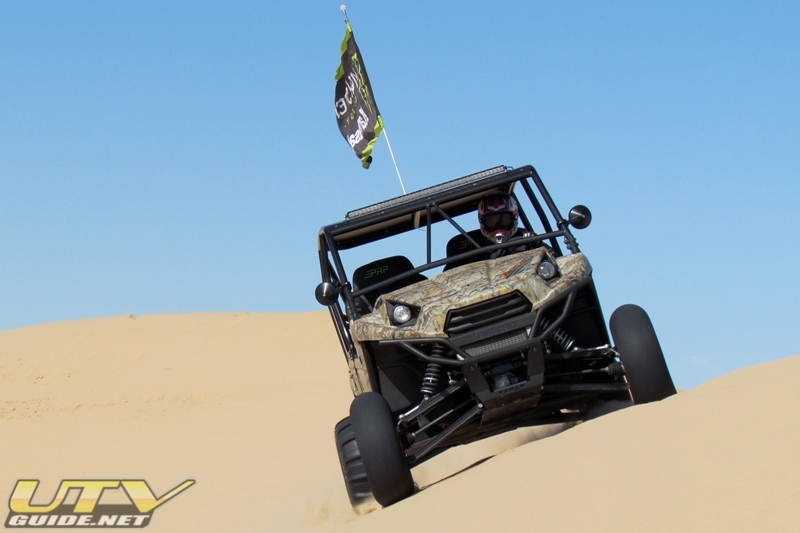 This might not seem like much, but we were able to climb to the top of Sand Mountain with a stock engine and paddle tires. This is a feat that many two-seaters cannot accomplish. And the new engine looks to be built to easily accommodate big-bore pistons. 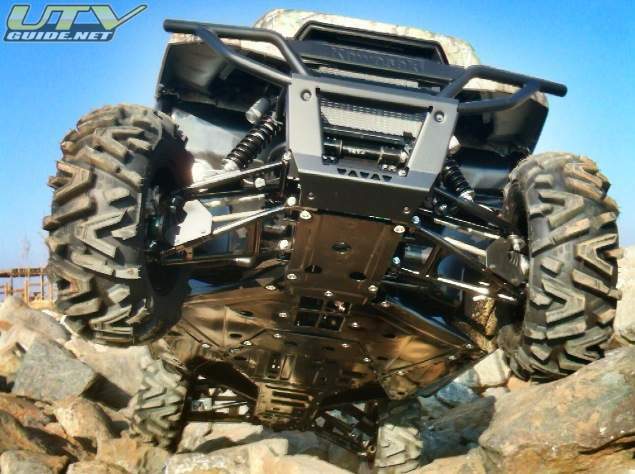 Overall, the Terxy4 made a great platform for a full buildup and once again, we have selected some great aftermarket companies to work with on this build. 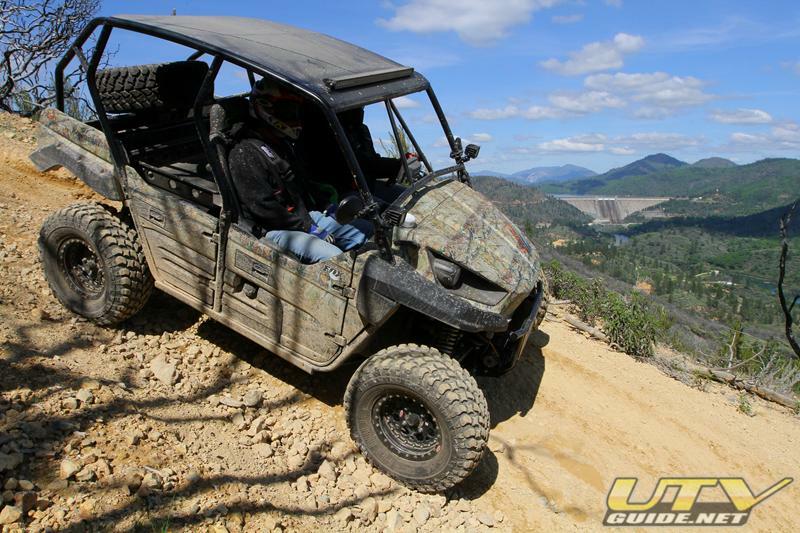 We tried to keep the changes to a minimum (LOL) in order to keep the Teryx4 on the trails as much as possible.